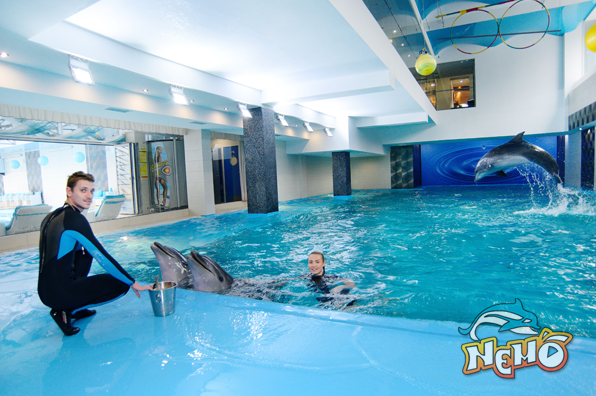 Swimming, bathing and communication with dolphins take place in Odessa all year round dolphinarium «Nemo». Give unforgettable gift to yourself and to Your close people! 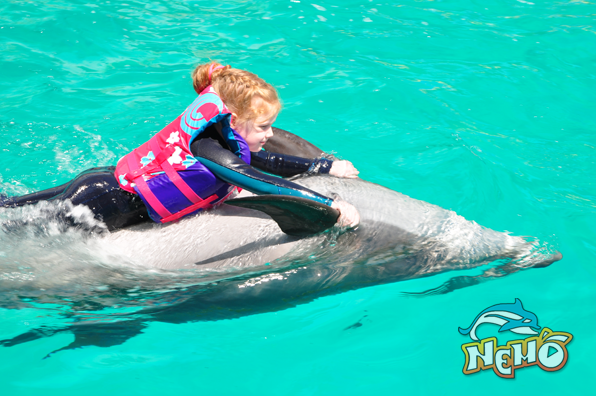 This is a specially organized programme, when you are not just in water near the dolphin, but feel yourself as a trainer. After 5 minutes of instruction You will dive in water to dolphins. 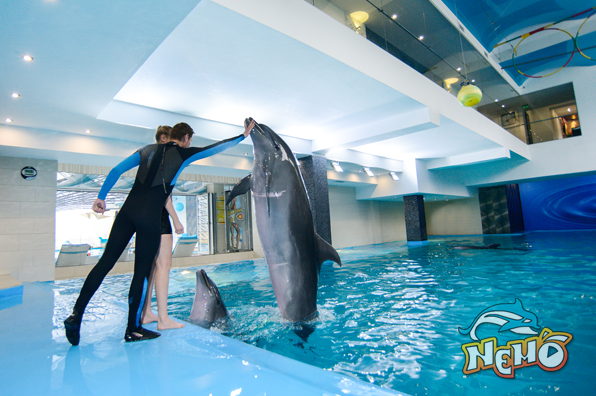 Dolphins will play with You, ride on fins, stomach, dance valse with You, the same as the performances with a trainer. Friends and relatives at the moment can be on a special place, take pictures of You and shoot on video. 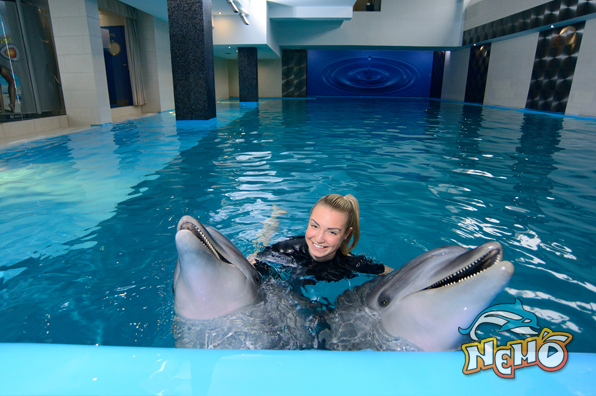 The cost of the service «Swimming with dolphins» — 3000 UAH. Duration — 10 minutes. Attention! 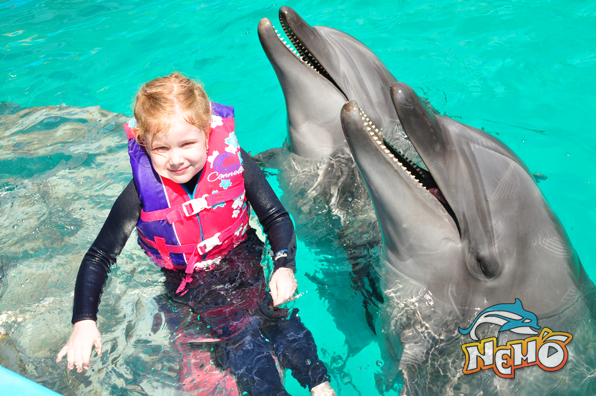 Ticket for swimming with dolphins are valid for one month from the date of purchase. Tickets for swimming are not exchangeable and refundable. Late faces for swimming with dolphins are not allowed, money is not returned. Swimming is executed in swimming suites, if it is necessary trainer can provide you with hydro suit of your size (price of rent — 200 UAH). Children up to 5 years are provided with children air jackets.